New Delhi, Feb 14 (UNI) Over 55 million researchers, academics and students across the Asia-Pacific, including India, will benefit from a new phase of dedicated research and education (R&E) networking – Asi@connect – which was inaugurated at the Asia Pacific Advanced Network 43 (APAN43) meeting here. Asi@connect, co-funded by the European Union (EU), aims to seamlessly extend and build on the successful Trans-Eurasia Information Network (TEIN) initiative. During the launch ceremony, which was hosted by the Indian Asi@Connect partner NKN (National Knowledge Network), delegations from the European Union, the Korean Government and the Indian Government welcomed the kick-off of Asi@Connect and encouraged the R&E network community to build on achievements to date and further strengthen cooperation between Asia and Europe. “There are unlimited fields of world-class research which can profit from the powerful links we have created together. Sharing data and working together on astronomy, meteorology, climate change monitoring, or early warning in case of natural disasters are just a few examples,” he added. 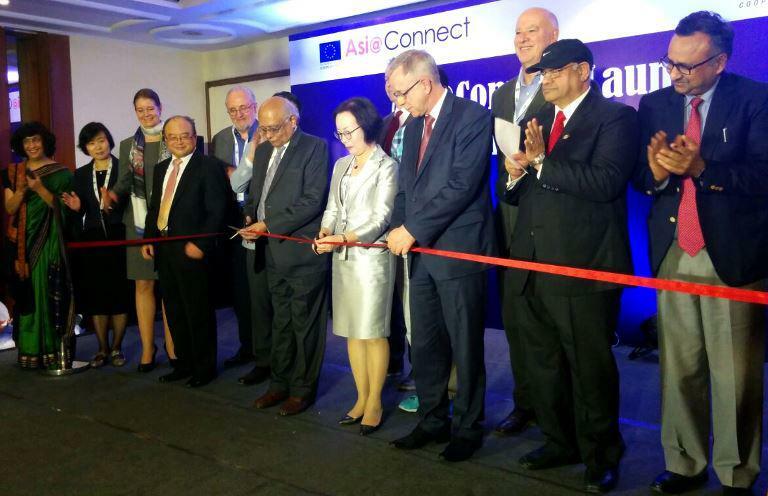 With a substantial five-year EU co-funding commitment of Euro 20 mn until 2021, Asi@Connect is designed to support the countries across the region to develop and deploy new network services, facilitate human capacity building and knowledge exchange, extend the R&E footprint to connect additional Asia-Pacific countries among others. The launch event was also attended by Suk-Joon Son, Director of Network Promotion Sector, Ministry of Science, ICT and Future Planning of the Republic of Korea, Dr R Chidabaram, Principal Scientific Advisor, Dr Neeta Verma, Director General NIC/ National Knowledge Network (NKN) and Dr SV Raghavan, Chairman Technical Advisory Committee, NKN.